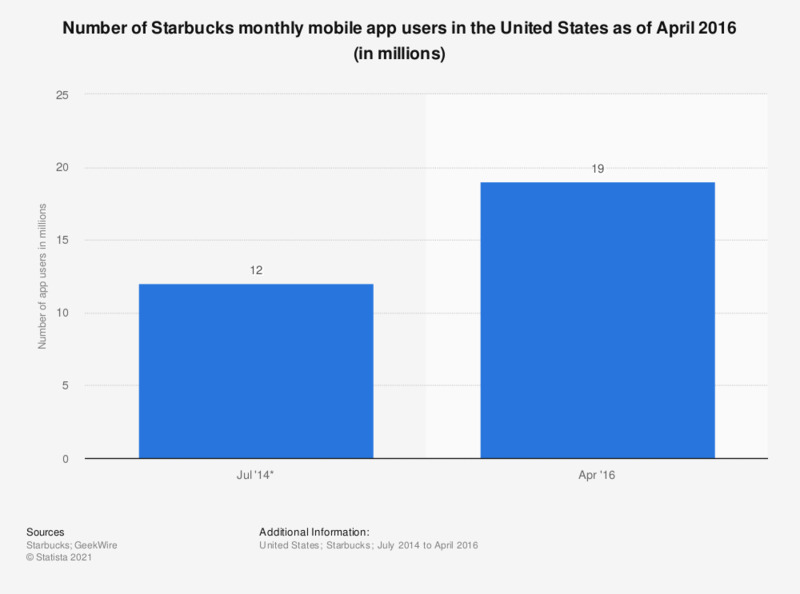 This statistic presents the number of monthly Starbucks mobile app users in the United States as of April 2016. As of the last reported period, the app had 19 million monthly active users in the United States. Which, if any, of the following payment providers have you heard of? What would you order in a Starbucks café?